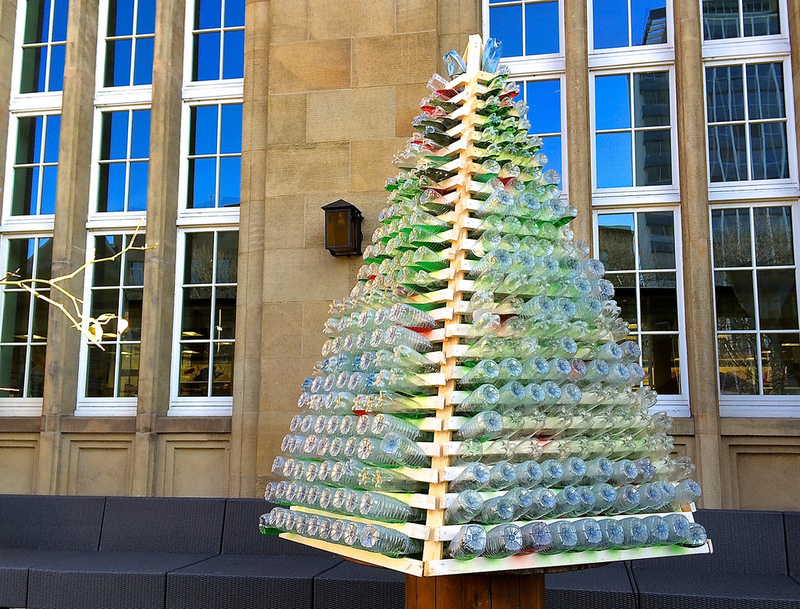 From a recent trip to Basel, Switzerland, the home of culture and artistic finesse, I discovered one of the most innovative Christmas trees I have ever seen. Found at Les Garecons, the gastronomic enclave at the German Railway Station, it is made of recycled plastic bottles, filled with coloured liquid and in the evening, it is lit up. Really effective – a genius idea – green in every sense of the world. Merry Christmas and a Happy New Year, one and all!